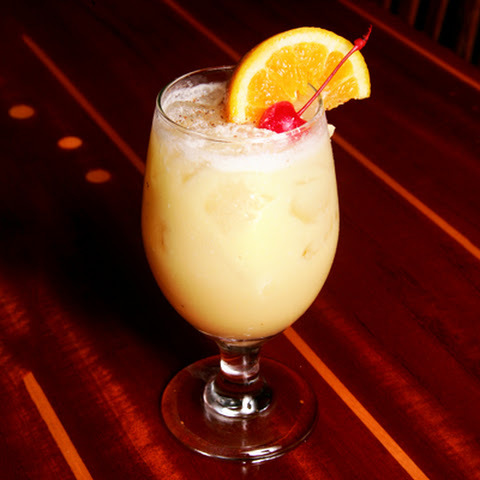 ​These tasty drinks will have you relaxing in no time or recalling your fantastic trip to St. Thomas, Virgin Islands! ​Fill a pitcher a third of the way with crushed ice and add all the ingredients. Churn vigorously until frothing (or shake in a large cocktail shaker) and strain into cocktail glasses filled with fresh ice. Garnish each with an orange slice, a pineapple cube and a cherry. Serves 6. Mix ingredients together in a blender and pour over ice cubes into hurricane glasses or large snifters with a generous amount of fresh nutmeg on top. Garnish with orange wedges and cherries. Serves 4. Pour rum into highball glasses over ice. Add ginger beer and stir. Garnish with lime wedges. Serves 2. Cruzan® Rum is made in the Virgin Islands. Don't forget to take back a few duty-free bottles with you!